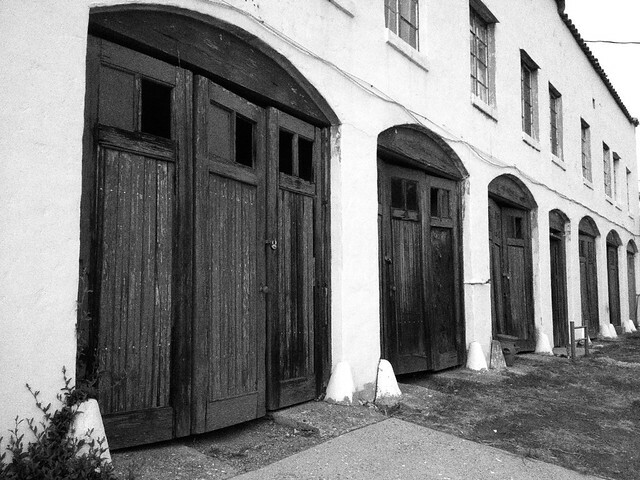 Garage doors in old apartment building. I have always liked this old apartment building. On the front there is a courtyard that was pretty cool. The whole thing is not in the best repair as evidenced by the door.